I originally published this blog on February 15, 2011. Since I don't have time this evening to prepare a blog about Lord Nityananda, I thought I would post it again now. Wednesday, February 8th will be the observance of Lord Nityananda’s holy appearance day. I was blessed in 2011 to be able to give class to the devotees on that day. I am sharing with you part of what I spoke about then. On the one hand, I appreciate the special mercy that comes to one who is able to speak to the devotees about Krishna and the philosophy of devotion, while on the other, I also find it very humbling to realize that I really don’t know much about the philosophy. It is like an ocean, and I can only share a few drops. However, I speak for my own purification, with the prayer and intention to inspire and inform the devotees. Besides this, Krishna appreciates our taking risks in his service, assuring us in the Gita, that he carries what we lack and preserves what we have. It is interesting how Spring is associated with Shri Chaitanya and his associations. First Shri Advaita Acharya, who prayed for the Lord’s appearance, then Shri Nityananda Prabhu, the expansion of Lord Chaitanya and his most merciful aspect, and finally the crescendo, next month, on the full moon day, Lord Chaitanya’s appearance. Although Shri Chaitanya is widely known as the “most munificent” avatar, freely giving Krishna prema (ecstatic love for Krishna), Shri Nityananda is considered even more merciful, since he gives prema to the most unqualified persons. 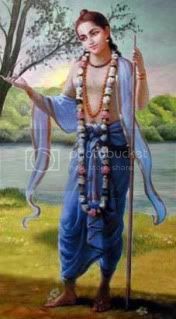 Lord Chaitanya describes Lord Nitai (as Nityananda is also called) as non-different from himself, so in that sense Lord Nitai is an expansion of Shri Chaitanya’s mercy. We have learned that the more we give Krishna consciousness to others the more it grows! So Nityananda—who is considered to be Balarama (Krishna’s brother) and Anantasesha (the thousand headed cobra bedstead of Lord Vishnu)—is the extreme mercy of Shri Chaitanya. Lord Nityananda is the originator of the “extreme makeover”, since when we come in contact with his mercy, our life changes and we become mad to obtain Krishna prema! Through Vaishnava (Krishna devotee) association and service, along with the holy name, our lives become transformed as our soul gradually awakens! We loose taste for material things to the degree that we hanker for service to Krishna and his devotees. At heart, bhakti is very simple: serve and remember Krishna in love. At the same time, there is a very deep esoteric philosophy which is meant to give support to our faith, and soften our heart. We are meant to use the full extent of our intelligence to realize its limitation. Ultimately Krishna and his various energies and expansions will only be revealed to us with the proper service attitude and intensity of love. In love of Krishna, there is a supreme kind of knowledge and reasoning by which everything can be known and explained. As if Shri Chaitanya wasn’t sufficiently mysterious and difficult for ordinary people to understand—the combined form of Radha and Krishna—Shri Nityananda may also be difficult to appreciate. He is called avadhuta, which means, “mad saint” or one with unconventional activities. Lord Chaitanya’s lila or life activities are called, “acharya lila” or the life of a perfect example, in his case, of a sannyasi renunciate. Lord Nitai, on the other hand, is very unpredictable, inconceivable to mundane moralists or religionists. Thus Shri Chaitanya cautions us to not see Nityananda from the material perspective. This requires serious study of the bhakti scriptures under good guidance, and learning about the heart of Lord Chaitanya and Nitai from our spiritual practice and ardent prayers. We do our best to understand, but ultimately we are dependent on grace. Though for a time known as a renunciate, Shri Nitai never the less, dressed in beautiful silks in bright colors, wore opulent gold bangles and precious jeweled ornaments, and had delicious scents and sandalwood paste smeared on his body. 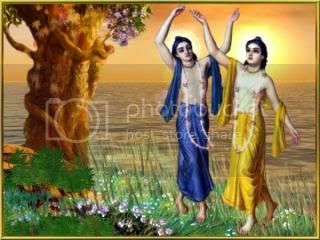 Like Lord Chaitanya, Nitai’s ecstatic symptoms were extraordinary, and sometimes even shocking for the devotees to behold. We have to see Shri Chaitanya and Nitai and their associates to be like a transcendental team, who have come together to give the highest attainment—Krishna prema—to the most unqualified persons—our humble selves. Lord Chaitanya is famous for his deliverance of some of the greatest material and spiritual luminaries of his day—the guru of the king and chief advaitin (Sarvabhauma Bhattacharya), then the king himself (Maharaja Prataprudra), and many others. 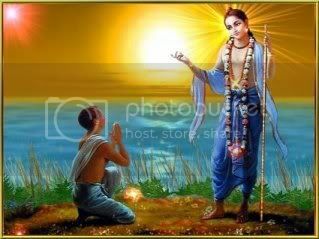 Lord Nityananda was sent to Bengal by Shri Chaitanya, to deliver the most fallen, unqualified persons. It is said that Lord Chaitanya gave prema to those who wanted it, while Nitai gave it to those we refused it! I have given you a few hints as to the spiritual identity of Lord Nityananda, yet whatever I say will be incomplete. Still, we can finish up by saying that Lord Chaitanya and Nitai, as Krishna-Balarama, are considered by Gaudiya Vaishnava’s to be the original supreme personalities of Godhead. There is One God who expands into multiple forms for his pleasure and divine purpose. 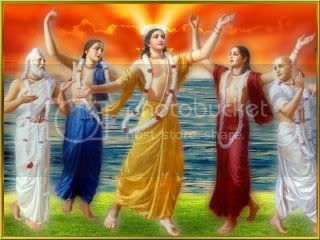 Sometime we call Nitai, Nityananada-rama to remind us of his being non-different from Balarama and Sesha. Many verses elaborate this in the Vaishnava scriptures, Chaitanya Charitamrita and Chaitanya Bhagavat. For the purposes of this blog, let us focus on one aspect of Shri Nityananda which is most important. As Shri Balarama is considered the original guru, so is Shri Nitai. One’s guru is said to represent Shrimati Radharana, and also Nityananda. Therefore, on the day celebrating Shri Nityananda, we can endeavor to appreciate the value of the appearance of good guidance in our life by the grace of Shri Guru, in his many manifestations. 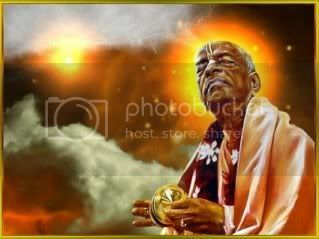 Whether one is initiated or not, if one has some attraction for the Krishna consciousness philosophy it is due to the words of some devotee—either Shrila Prabhupada’s books or someone coming in his line, or the general line of Lord Chaitanya. Our need for good guidance and association is never ending. We see in the prayers of the great devotees—who we would consider to be superlative association—that they feel the loss of great devotee association. Even after serving our gurus for many years, after his or her disappearance—or especially at that time—we still have a huge need for inspiring association. Although I have read this many times, it wasn’t until some years ago, when I met some really advanced devotees, that I realized what I had been missing! On the appearance day of Lord Nityananda, let us study about his life and charming pastimes, the philosophy concerning his spiritual position, and also appreciate the value of associating with those sadhus (saints) who have come before us on the path. They share with us their spiritual faith and realizations and their association and service is a principle way we make spiritual advancement. One moment of real association with them can change our life. The scriptures teach us this, and I have practical experience. Shri Nityananda kijaya! Submitted by Karnamrita on Sun, 2017-02-12 16:16. 1) In the land of Nadiya, on the island of Godruma, the magnanimous Lord Nityananda has opened up the Marketplace of the Holy Name, meant for the deliverance of all fallen souls. 2) O men of faith! O men of faith! By the order of Lord Gauranga, O brothers, I beg this one request: Chant "Krsna! ", worship Krsna, and follow Krsna's instructions. 3) Being careful to remain free of offenses, just take the holy name of Krsna. Krsna is your mother, Krsna is your father, and Krsna is the treasure of your life. 4) Giving up all improper behavior, carry on your worldly duties only in relation to Krsna. The showing of compassion to all fallen souls by loudly chanting the holy name of Krsna is the essence of all forms of religion. Submitted by Karnamrita on Sun, 2017-02-12 16:10. Dalaler Gita -- "The Song of the Broker"
boro -- great; sukher khabor -- news of happiness; gai -- I sing; surabhi-kunjete -- in the grove of Navadvipa named Surabhi-kunja; namer hat -- the Marketplace of the Holy Names; khule ache -- is opened up; khoda nitai -- Lord Nityananda is Himself the Owner and Manager. 1) I am singing news of the greatest happiness! At the place known as Surabhi Kunja in Sri Navadvipa, the Marketplace of the Holy Name has now been opened -- and Lord Nityananda Himself is the Proprietor. boro -- great; mojar katha -- story of the amusing affairs taking place; tay -- there (in that Marketplace); sraddha-mulye -- for the price of one's faith; suddha-nam -- the pure, original form of the Holy Name; sei -- He (Lord Nityananda); hatete -- in the Marketplace; bikay -- sells. 2) Such wonderful things are going on in that blissful marketplace! Sri Nityananda Prabhu is selling the pure Holy Name wholesale, merely for the price of one's faith. 3) Seeing the assembly of devotees eagerly waiting to purchase the Name, Lord Nityananda first examines each of them to test their qualification; then He sells them the Name by bargaining for His price accordingly. jadi -- if; nam -- the Holy Name; kinbe -- will purchase; bhai -- O brother! ; amar sange -- along with me; calo -- come on; mahajaner kache -- in the presence of the great soul Nityananda; jai -- I am going now. 4) O my dear friends! If you really want to buy this pure Holy Name, then just come along with me, for I am now going to meet with this Nityananda Mahajana. tumi -- you; kinbe -- will purchase; krsna-nam -- the Holy Name of Krsna; dasturi -- commission; loibo ami -- I will take; purna -- fulfilled; ha'be -- will become; kam -- both of our desires. 5) Thus, you will finally be able to acquire the pure Holy Name. I will also take my due commission, and in this way all three of us will fulfill our desires. boro -- greatly; doyal -- merciful; nityananda -- Lord Nityananda Prabhu; sraddha-matra -- only your faith; lo'ye -- takes in exchange; den -- gives; parama-ananda -- the topmost divine bliss. 6) Sri Nityananda Prabhu is so extraordinarily merciful -- accepting only one's faith in the Holy Name, He bestows the topmost divine bliss. ek-bar -- just once; dekhle -- upon seeing; cakse -- in the eyes; jal -- water (tears); ‘gaura' bole' -- while chanting the name of ‘Gaura'; nitai den -- Lord Nityananda gives; sakala -- all; sambal -- support and supply of spiritual riches. 7) When Nitai sees a tear welling in someone's eye upon chanting the name of "Gaura!" He instantly gives His support to that person; indeed, He bestows all divine opulences. den -- He gives; suddha krsna-siksa -- the pure teachings of Lord Krsna; jati -- caste by birth; dhana -- material wealth; vidya -- mundane knowledge; bala -- physical strength; na kore -- does not do; apeksa -- care for. 8) He gives that person genuine realization of the pure teachings of Sri Krsna as found in the Bhagavad-gita and Srimad-Bhagavatam. While displaying all this inconceivable mercy, He pays no attention to one's caste, material wealth, mundane knowledge, or physical ability. amani -- spontaneously; chade -- rejecting; maya-jal -- the network of maya's traps; grhe thako -- just remain at home as a householder; bane thako -- or just remain in the forest as a renunciate; na thake -- does not exist; janjal -- troubles. 9) Now, dear friends, please reject all of maya's entangling snares. If you are a householder, then just remain at your home; if you are renounced, then just live in the forest. Either way, nothing more will trouble you. ar -- any more; naiko -- there is not; kalir bhoy -- fear of the age of Kali; acandale -- to everyone including the candalas (uncivilized people); den -- gives; nam -- the Holy Name; nitai doyamoy -- Lord Nityananda, the most merciful. 10) We no longer need to fear the terrible Age of Quarrel, for the most merciful Lord Nityananda gives the Holy Name to anyone and everyone -- even to the lowest among men. bhaktivinoda -- the author, Srila Bhaktivinoda Thakura; daki' -- loudly calling out; koy -- says; nitai-caran -- the feet of Lord Nityananda; bina -- except for; ar nahi -- there is no other; asroy -- safe shelter. 11) Bhaktivinoda loudly calls out and proclaims to all, "OTHER THAN THE LOTUS FEET OF LORD NITYANANDA, THERE IS NO SHELTER!"